Dharamshala is one of the very famous spiritual places to visit in India. The place is famous for Chintpurni Mata Temple, Tibetans Institute of Art, Kangra Valley, Kakeri Lake and Dal Lake. If you are a nature lover, you will surely enjoy your visit to Dharamshala. Well, when it comes to travelling to Dharamshala from Chandigarh, most people choose the train. However, the best way to travel to Dharamshala from Chandigarh is by booking a car rental service. Travelling by train kills all the fun of stopping on your way to take rest and viewing attractions on your way to your destination. We at WooCabs, offer the best car rental service in the country in terms of price and the wide variety of cars that we offer. Book your Chandigarh to Dharamshala Cab in advance to get the exact car that you want for your trip. Dharamshala is a very popular tourist place and can easily be reached by car. Visit our website or download our mobile application from Google Play Store to book your car rental service for your upcoming trip to Dharamshala. Within just a few clicks, you will be able to book a car rental service for yourself and you will also receive the confirmation regarding your booking. Our goal as a company is to provide our customers with the best service at a very reasonable price range. is the best since you get to witness nature’s beauty on your way. On your way to Dharamshala, you will pass many curvy hills. Our drivers are well-experienced in driving on hilly roads as well. Hence you don’t need to worry about your safety. To reach Dharamshala from Chandigarh, you need to take the NH 503. Our experienced drivers will make sure that the travel route is planned well in order to save time and reach your destination as soon as possible. We at WooCabs, maintain an extensive variety of car models for travelling to Dharamshala from Chandigarh. We have car rental service to suit the needs of every kind of customer. Selecting us as your car rental service provider means getting to select a suitable car for your upcoming travel. You can choose from options like MUVs, Luxury cars, sedans and many others depending on your travel needs. Some of the most requested cars from us includes Indica, Etios, Innova and Indigo. With a car rental service from us, you can be stress-free regarding your journey as we make sure to provide world class service to our customers. Continue reading to know more regarding the car models that we offer to our customers. If you want more details regarding our car rental service, feel free to get in touch with our customer service agents by dialling (+91) 9779-390039. We at WooCabs, continuously look for ways to improve our service and provide our customers what they are looking for depending on their travel needs. 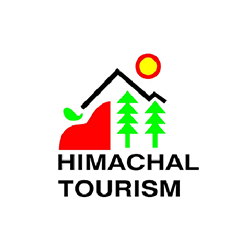 In order to make your journey a memorable one, we keep our packages very minimal and offer a variety of Chandigarh to Dharamshala travel packages. We always keep updating our website from time to time in order to introduce some amazing seasonal packages. Keep checking our website to avail the best package for your next trip to anywhere. We assure that your Chandigarh to Dharamshala Taxi Fare will be very affordable and you will also receive the service that you are paying for. We keep our billing policy very and also mention all terms and conditions regarding our billing process to our customers. To know about all terms and condition, please visit our website. Below we have discussed our billing policy in details, keep reading to know more! Apart from this, we will not charge a penny more from you. You can pay us in advance or you can also choose to pay the full amount after you are done with your trip.